Work is suddenly back to being crazy again. And I feel so tired by the end of day and to add to it's the muscle soreness. So I really don't have the energy too write much and the update is short … today I did some cardio on the elliptical and burned a cool 421 calories in just 30 minutes. Yay!!!!!. There some interesting locker room conversation that I wanted to share so that I will do tomorrow when I am well rested. Today was the designated cardio day but work happened and didn't get to the gym in the morning........ Ok wait up before you nod your head again and say there goes her commitment.......I made it to the gym in the evening and better still skipped the cardio and got Nash to train lower body and abs. Most of the moves were plyometrics so that compensated for the cardio as well. 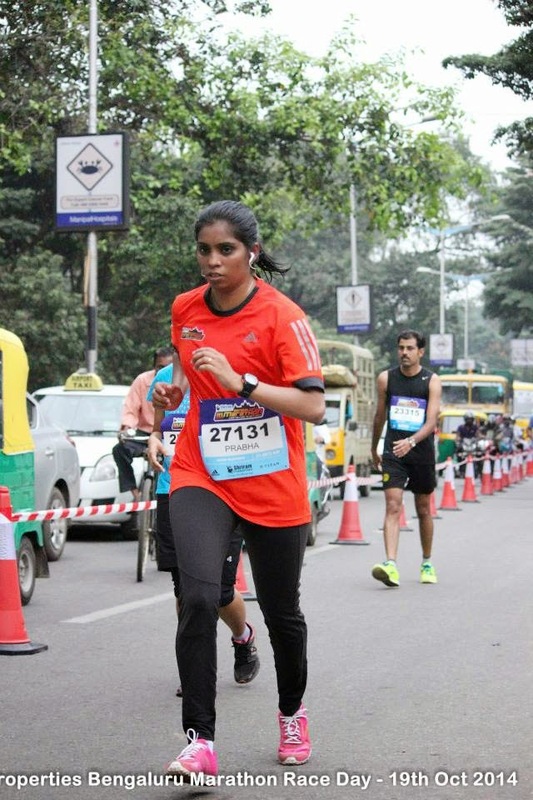 115 days to the Bangalore half marathon, and I plan to share my workout each day till D-day. Today was workout session with Nash. My legs were pretty beat from Mondays days session with Nash and the cardio yesterday. And when I mean beat, I was walking around like a zombie all day. So I told Nash about it and he said well then plan was to work arms , back and of course core. So I am happy that he knew I would be sore even before I told him .... That's good. So we worked arms and back, that were pretty unique n, nothing like I have done before. Its amazing how much fun workouts are if the trainee u have the same wavelength of communication. So I am kind of liking working out the gym no... Actual look forward to it. I know its to early to pass a judgment but Nash is great trainer, unlike some of the Boohoo s at golds gym who call themselves trainer. So another year has gone by and this marks the second year of this blog. I haven't done much of blogging this year because of my work schedule and partly due to laziness. But I am trying to make some more positive changes as I complete being 35(that's half way through considering an average life span of 70) and what better way than the blog. In my last blog I promised to be more regular, but failed. I ain't making excuses but the time I get home all I want do is hit the bed. So tired after work and driving through horrendous Bangalore traffic. I know people live busier schedule and still find time to do stuff, including blogging. Hello , look what the cat dragged in ...Me.... Wow its been over 6 months from the last post and of course a year has flown by. So without much adieu "haapy new Year" to all my readers and blogging friends.I know its weird to wish you'll mid of April, but what the hell. I missed you'll too.The million dollar question would be where were u and the answer is simple work and more work. The last blog I mentioned about the new job and while its been good but crazy busy . Natuarally I fell of the health wagon because of the constant travels and and vicious deadlines on projects. I know that is just an excuse and there isnt one that is good enough for all the bad eating and not taking out time to be healthy.Hmmmm...but did I realize somewhere along the line that I needed to fix it....Did I???????? ?